Last weekend Mike and I went to Pig Island in Red Hook, Brooklyn. It was our second year attending and we were greeted by a smiling volunteer who was very welcoming and gave us a quick lay of the land. No vegan activists this year to disrupt the event – Yay! Although for some reason some of the vendors flaked on the event last minute. Why would you do that to potential customers and also to Jimmy Carbone, the head of these events? 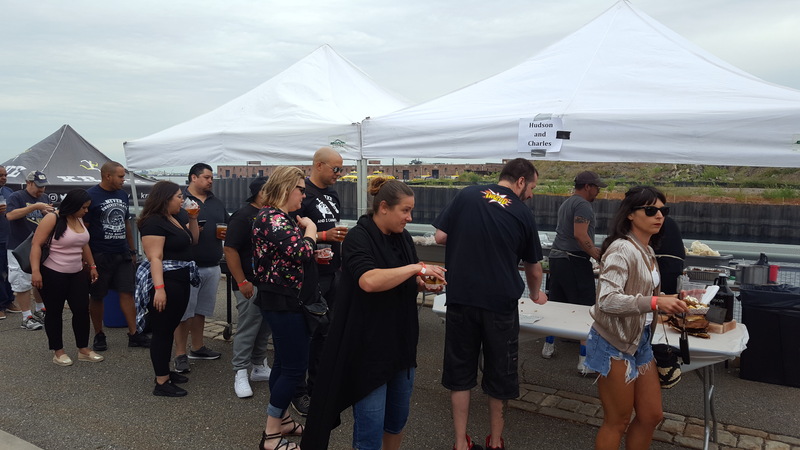 Despite a few setbacks and Jimmy being in the hospital recently, there were still a lot of great food options with people eager to line up. 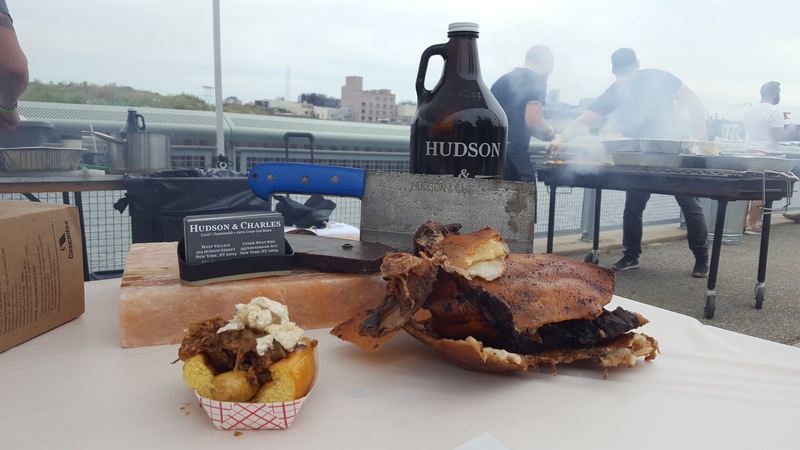 I had two favorites, one being the Hudson & Charles hot dogs with sausage on the bottom, pulled pork in the middle, caramelized onions and cracklings on top. The flavors were amazing. You tasted every single topping. My recommendation would be to say that less is more. I would have loved to have 2 buns: one with the sausage and the other with the pulled pork. Although the flavors were to die for, it was very intense. 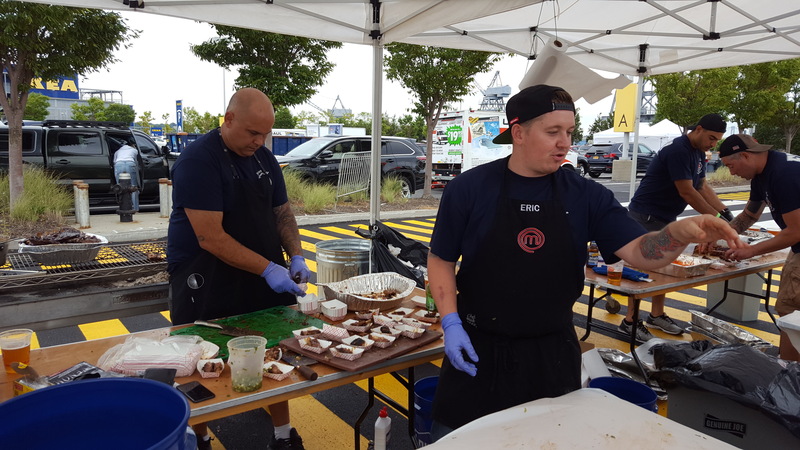 My other favorite was the ribs with toasted sesame seeds from the Ladder 101 Friends of Firefighters. 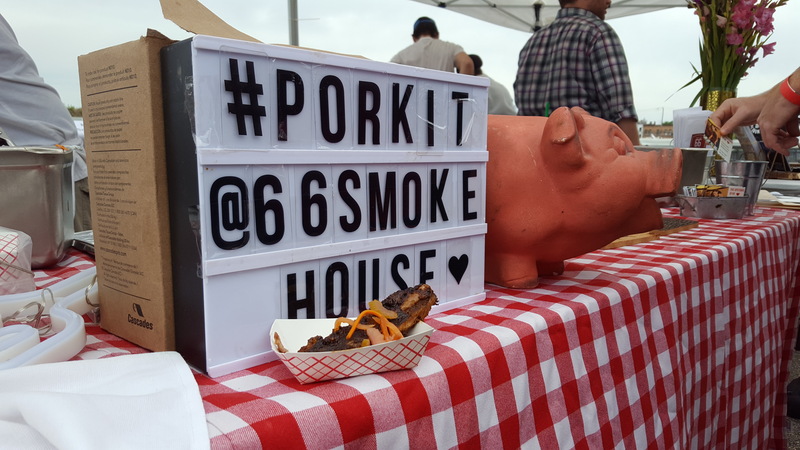 They even won an award for “Best Non-Traditional Ribs”, so my taste-buds were not off. For the full list of winners, see the Judges’ Chef Awards at the bottom. 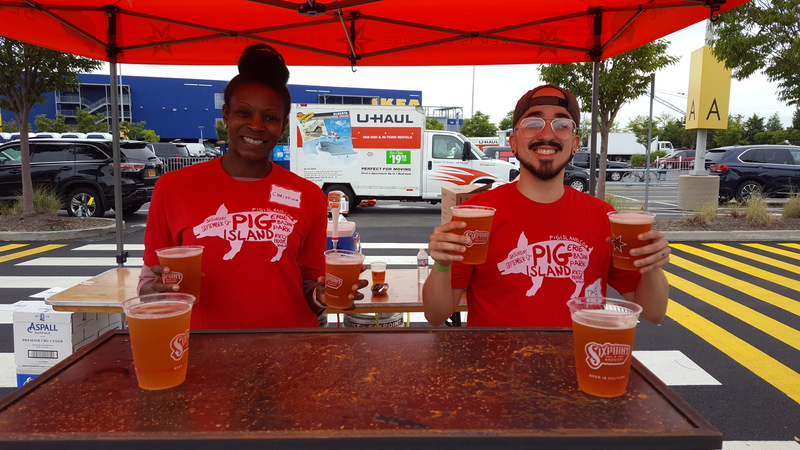 The event is not only to drink beer and eats 20 different varieties of pork, although amazing, but the event also supports Friends of Firefighters. As I am writing this on the week of 9/11, it is the perfect time to write about this amazing cause. Friends of Firefighters provides confidential, independent, and free counseling and wellness services to active and retired FDNY Firefighters and their families. They began as a community-based group in response to the events of September 11, 2001. This is a great and worthy cause to support your local Firefighters. Although 9/11 was 17 years ago, these are brave men and women who risks their lives on a daily basis. The drinks were plentiful and Roni-Sue’s Chocolates provided the best sweet treat after all of the pork with Bacon Buttercrunch pieces. Also, the music was great! 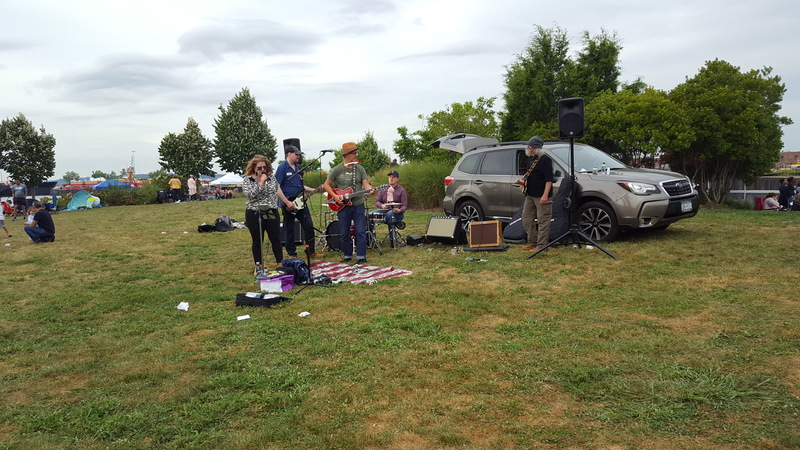 I loved the front singer of Dusty Wright & The Bush Hogs and his backup did amazingly. They played really tight sets that were perfect for this type of event. You should check them out! Although a little cold, it was worth it trekking to Brooklyn, and it is my excuse to stop by Ikea right next door. Check it out next year!